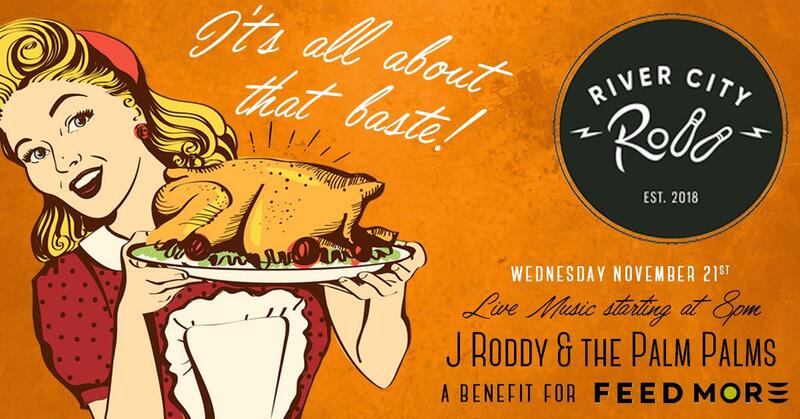 Home / Events / It's All About That "Baste" Thanksgiving Eve Party! It’s All About That “Baste” Thanksgiving Eve Party! If you are looking for some pre-Turkey Day fun that makes a difference, we’ve got you covered! Round up your friends, family and loved ones and head to River City Roll for their first annual Thanksgiving Eve party on Wednesday, November 21. Cover fee for the night is either a nonperishable food item or a monetary donation to help us feed more!